Get a banner/standard for your next event. The SCA has many people willing to make one for you. Their contact info is below. You would get a price from them individually. Below you will find a list of people who will gladly assist you with your projects! 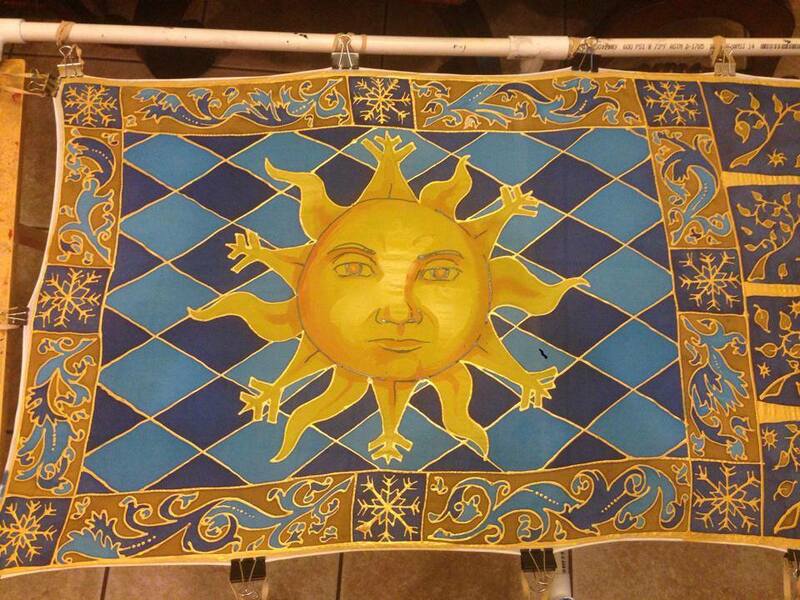 She is new to banner making, but I saw her first one, 3′ x 15′ at a Crown event and it was beautiful. He can do long 20+ ft. banners, and of course, other lengths. Pictures of his work is on his FB page. Contact Us With Your Questions About This Page! Share your images with the community now!